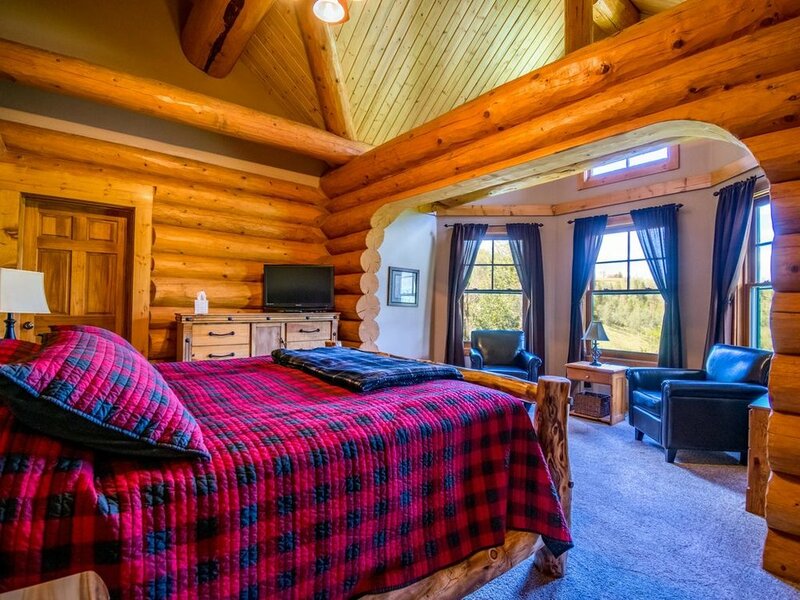 Great Log Home with Hot Tub and Spectacular Views! Welcome to The Lodge at the Summit. 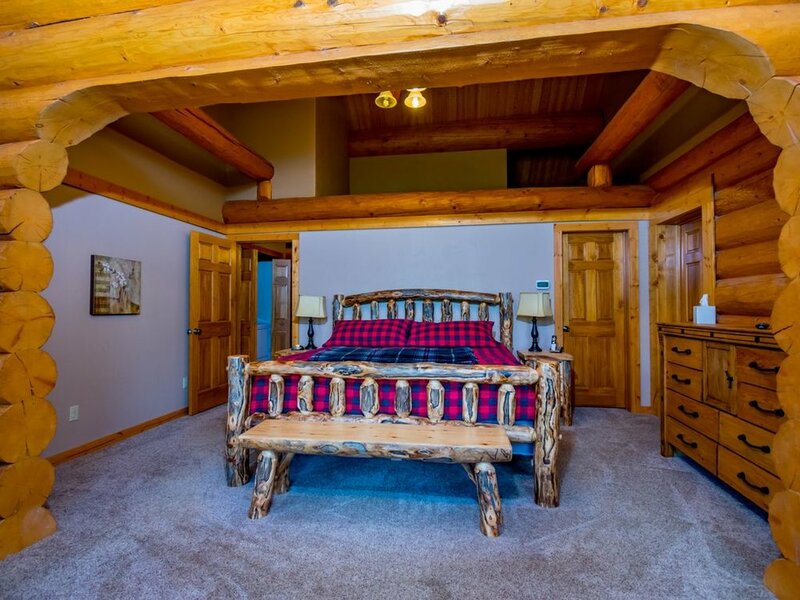 Our 3000 square foot log home, built in 2009, is located in Eagle's Nest along the ninth fairway of the Raven Golf Course. 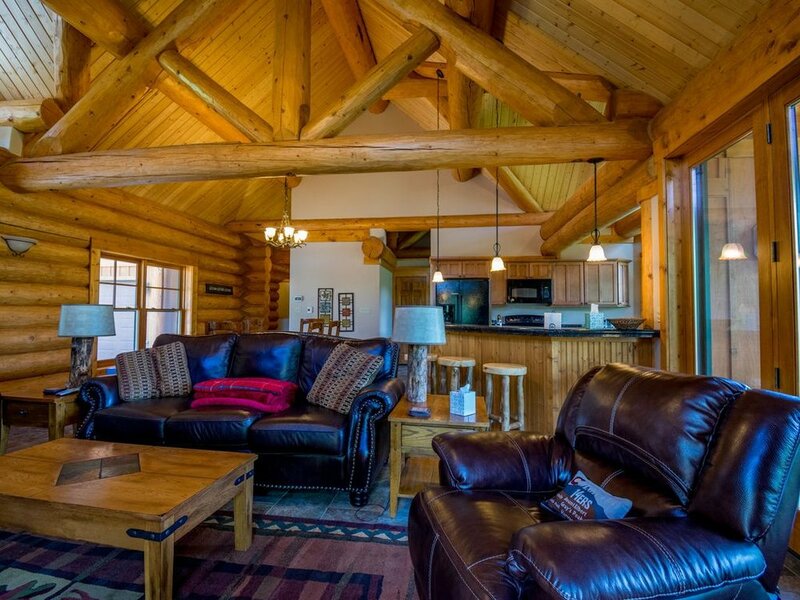 You can sit on the deck or in the hot tub and take in the spectacular views of the Williams Fork mountain range. The bonus is being able to listen to the gentle creek that runs along the side of the house. As much as you should enjoy your vacation, it can be nice working on your laptop in the breakfast area while enjoying the mountain views – we have Wi-Fi. The house is equipped with everything you need for a wonderful vacation. The kitchen has granite countertops and is ready with everything you need to make your favorite meals. 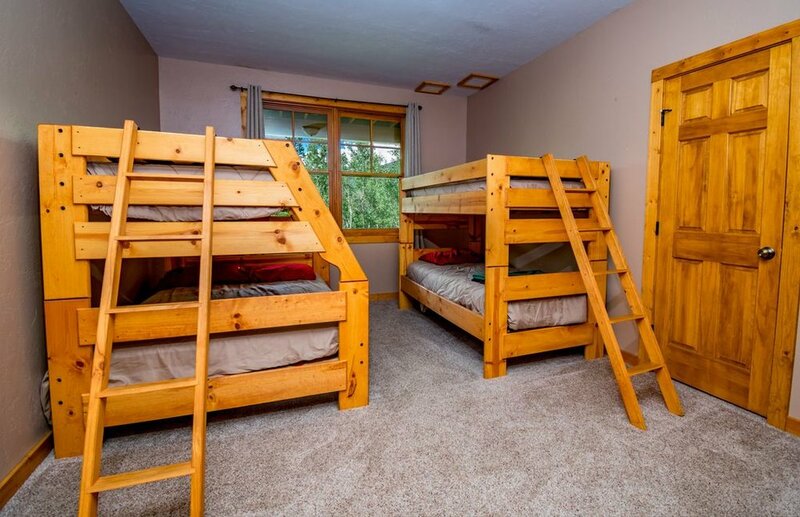 We also have a second family room for additional space for the kids or large groups. There is HD Cable TV in the great room, second family room, master bedroom and one queen bedroom. 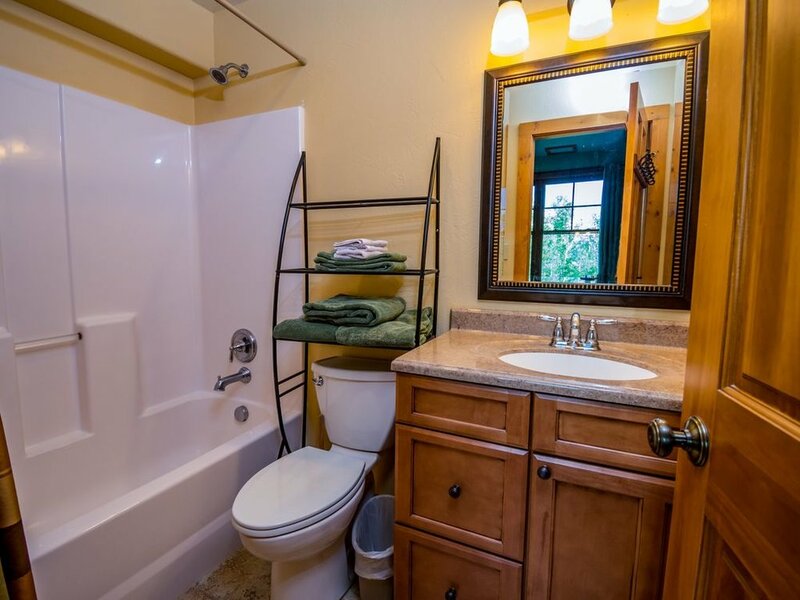 We have four bedrooms, each with an attached bathroom – great for privacy when you are traveling with a large group. Lots to do in Summit County: There is always something to do in Summit County. We are close to Keystone, Breckenridge, Copper Mountain, Loveland, A-Basin, and Vail Ski areas. The summers are just as fun as the winters – hiking, biking, rafting, shopping, and music festivals are common activities. We hope you become our guest at The Lodge at the Summit.